A walking tour exploring, the "Granite City", and its most ancient buildings such as the Cathedral, or Sé do Porto, plus a visit to the cellars of one of the city's Port producers. This tour also offers an opportunity to admire the city while sailing along the river Douro on the typical local boats called Rabelos. We leave the port of Leixoes by coach to reach the city centre of Porto, the former capital of Portugal and the economic and cultural heart of the north of the country. 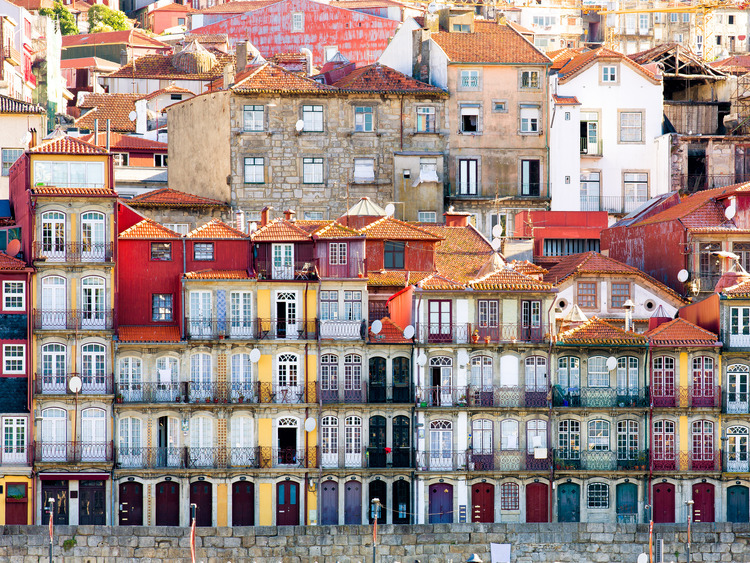 Porto is an ancient city from which the name "Portugal" originated. Thanks to its architectural treasures and enviable position near the mouth of the river Douro, it was declared a UNESCO World Heritage Site. Porto Cathedral, or Sé do Porto, is located on hill overlooking the River Douro. Our tour of this fascinating city starts with this imposing Romanesque building. Dating to the 12th century, it has been decorated with works of art by some of the greatest Portuguese artists. It has a magnificent 14th-century cloister with walls covered in azulejos (typical hand-painted blue-and-white ceramic tiles) illustrating the most beautiful passages from the Song of Songs. We will then move towards the Ribeira district, which is the most characteristic of the city. Here, we will embark on a Rabelo , one of the traditional boats built specifically to sail along the River Douro transporting barrels of wine from the vineyards to the cellars in the city. Along the Douro, we will pass under some of the numerous bridges that connect the two parts of the city and enjoy a privileged view of the city centre with its streets, houses and palaces tumbling down the hillside towards the river banks. After this short cruise, we have the opportunity to visit one of the numerous wineries in the city that produce Port, one of the most famous wines in the world, which we will taste before heading back to the ship.